This Level 1 Award provides an overview of the main points of licensing law and the responsibilities associated with the retail sale of alcohol. Individuals will gain an overview of social responsibility and will be able to support the Designated Premises Supervisor (DPS) to retail alcohol responsibly on licensed premises. •	1 full day tuition. •	Registration and Certification with Highfield. •	Delivery at NLTG in Accrington. Numbers permitting, this course can be delivered on company premises. Level 1 Award in Responsible Alcohol Retailing. £60 per person plus VAT. 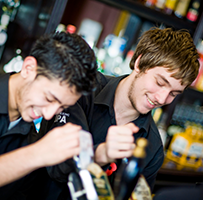 This 1 day nationally recognised qualification provides training in current licensing laws and is aimed at individuals working within licensed premises. 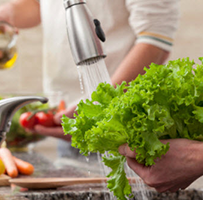 Everyone who works with food has a special responsibility for safeguarding the health of consumers to ensure the food they serve or sell is safe to eat.